http://www.mayberrykayaking.co.uk/ great kayaking lessons and trips in west wales. Plan your trip to Cardigan Bay, find accommodation, attractions and all the latest events. <a href="http://westwalesholidaycottages.co.uk">Cottages in Wales</a> - West Wales Holiday Cottages have 500 independently owned Welsh cottages available to book online direct with the owners. 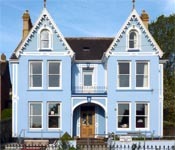 Choose from <a href="http://westwalesholidaycottages.co.uk/browse/coastal">coastal cottages</a>, <a href="http://westwalesholidaycottages.co.uk/browse/dog-friendly">dog friendly cottages</a>, <a href="http://westwalesholidaycottages.co.uk/browse/near-beach/">cottages near the beach</a> and much more.